We’ve reached the final week of ThanksGiveaway, and the surprise prize is William Graham’s Danny Boyle and the Ghosts of Ireland! Come read my review of this fun and adventure-filled middle grade audiobook read by Patte Shaughnessy and enter the giveaway via Rafflecopter. This week you can enter in multiple ways, and some entries can be done once per day for bonus entries. Enter to win an audiobook of Danny Boyle and the Ghosts of Ireland today through Monday, December 7. 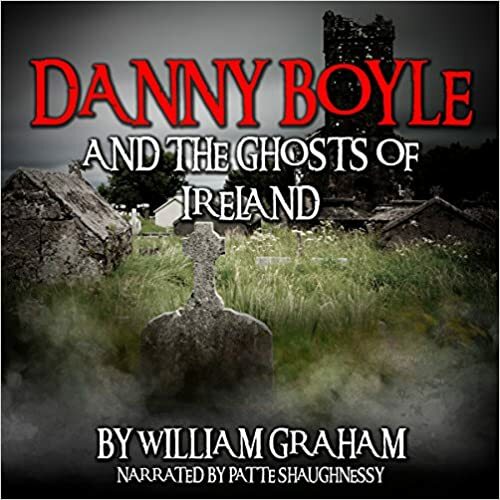 Monday, November 23 – Monday, December 7: one U.S. audiobook copy of William Graham’s Danny Boyle and the Ghosts of Ireland. Click here for my review and the Rafflecopter giveaway of Danny Boyle and the Ghosts of Ireland. Twelve-year-old Danny Boyle and his sister Melinda are on vacation in Ireland with their parents. Their holiday adventure is turned upside down when they begin to see ghosts in their hotel. Soon, Danny and Melinda are asked by the good ghosts of Ireland to help them fight the powers of the evil spirits. Danny and Melinda now find themselves caught up in a thrilling and chilling adventure that they had not bargained for. This entry was posted in Something Else and tagged action, adventure, audible, audible codes, audiobook, author, book, book giveaway, book thanksgiveaway, books, children's book, danny boyle, danny boyle and the ghosts of ireland, fantasy, fiction, free, free audiobook, free book, giveaway, indie books be seen, literature, middle grade, monday blogs, novel, novels, paranormal, read, reading, william graham, win, win an audiobook, writer, writers.